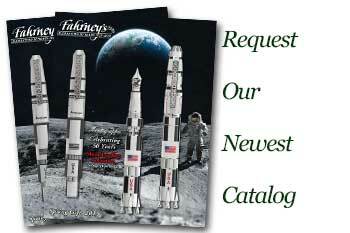 Order your Sheaffer Ferrari 300 Fountain Pen today from FahrneysPens.com. Fine Pens, Refills & Luxurious Gifts – great prices & fast shipping. The new Ferrari Official Licensed writing instruments are brought to us by the design teams at Sheaffer and Scuderia Ferrari. Consisting of two contemporary collections, the premium writing instruments reflect the same profound passion, extraordinary talent and incredible expertise that drives the Scuderia Ferrari Racing Team. Inspired by the instantly recognizable red and the unparalleled speed of a Ferrari race car, Sheaffer picks up the pace with bold, sleek design of the wide-body Ferrari 300. Created with the highest level of quality, these Ferrari 300s proudly display the Scuderia Ferrari Shield and the Sheaffer White Dot symbol of excellence with dramatic black accents. The Ferrari Official Licensed best ballpoint pen by Sheaffer is sure to perform at maximum speed and delight Ferrari enthusiasts everywhere!